The Broad College of Business felt thrilled to break ground on this building in September 2017, but more so for what it means for the future of our college. The Edward J. Minskoff Pavilion, a state-of-the-art facility covering 100,000 square feet, will cement our position as a top-of-mind business school, and will enhance the Broad student experience through its design around community, collaboration and teamwork. Higher education as we know it is changing, and this structure will position the Broad College ahead of the curve with flexible classrooms, energy-efficient spaces and cutting-edge technology. These features represent the face of the Minskoff Pavilion; what lies within the walls are what we anticipate most. 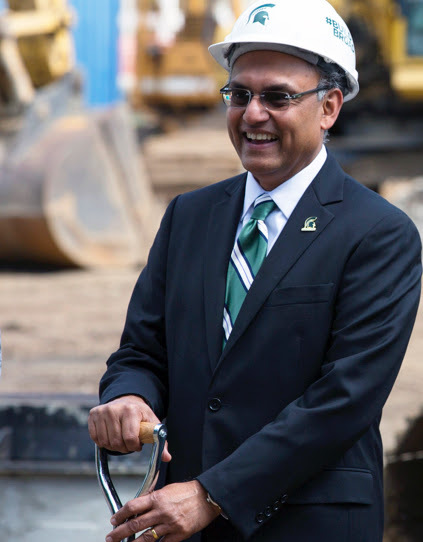 Spartans for generations to come will have the resources to innovate, build relationships and work together, and this is where our faculty will develop transformational business leaders. We thank our loyal alumni, donors and friends who have gotten us to this point and welcome you to become a part of this exciting project. Go Green! Michigan State is an important university and important to my past. It gave me a strong foundation, so I am privileged to be making a contribution that will help Michigan State continue to attract and prepare future business leaders. The largest single gift received from an individual in MSU’s history. 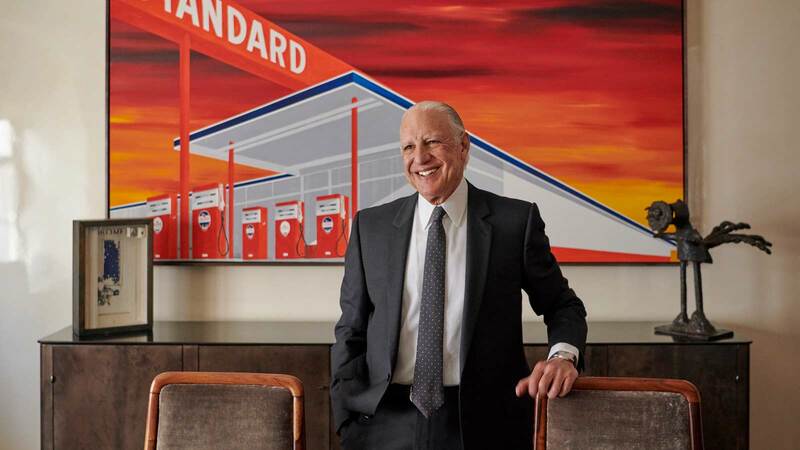 Alumnus and real estate developer Edward J. Minskoff provided the $30 million naming gift toward completion of the Pavilion. 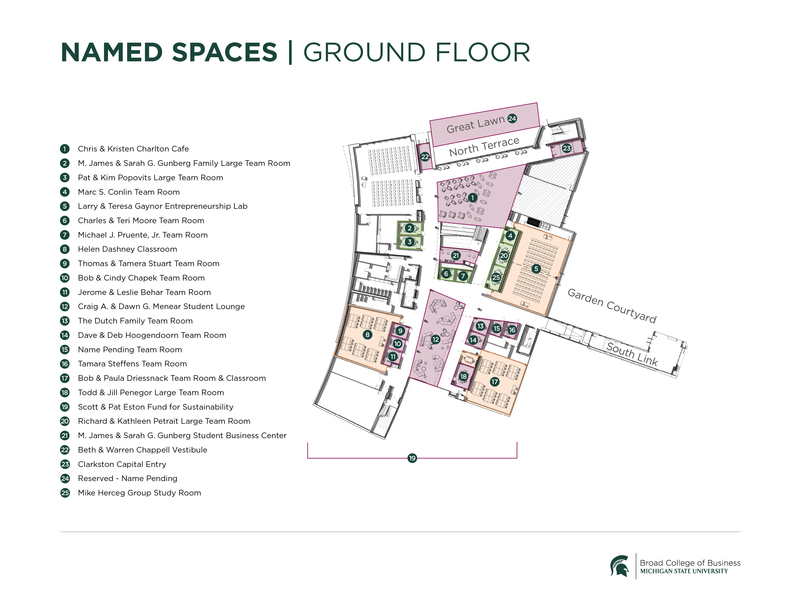 The gift—the largest single gift received from an individual in MSU’s 163-year history—will create innovative learning and career development spaces for business students. Check out the full photo album documenting Minskoff Pavilion construction progress. View video updates that showcase the Minskoff Pavilion’s latest construction project developments. Our community of alumni and friends have a tremendous impact on the Minskoff Pavilion project. 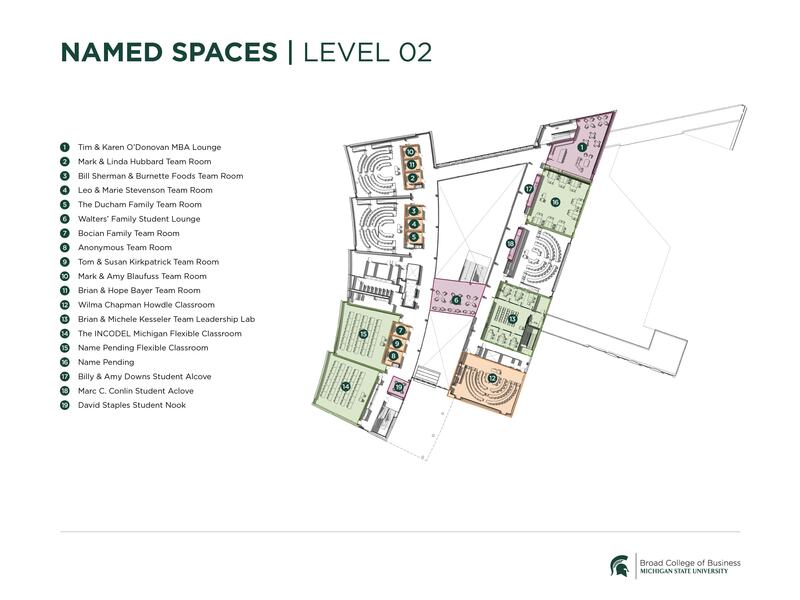 The ground floor of the Pavilion includes the cafe, entrepreneurship lab and spaces to enhance the student experience through innovation and building relationships. 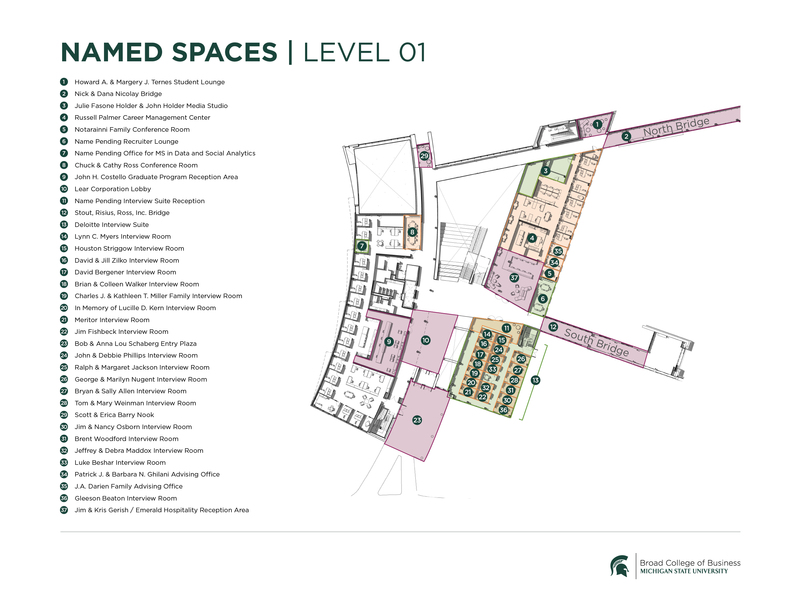 Level 01 features interview rooms, the media studio, the career management center and employer-focused spaces. Level 02 features team rooms and areas for students to collaborate and become the next generation of transformational business leaders. The future of the Broad College lies in the hands of our alumni network, fellow Spartans and community. The Minskoff Pavilion is completely donor-funded, meaning each gift takes the project one step further to becoming the cutting-edge institution Broad students deserve.